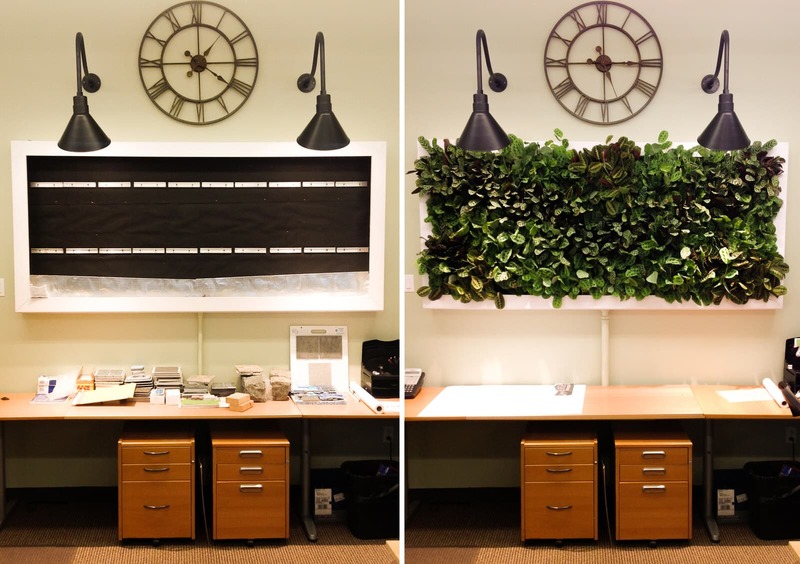 We recently completed our own H|LA green wall! After installing the framing, waterproofing, lighting, and irrigation, we populated our wall with a sinuous pattern of varieties of Prayer Plants (Maranta leucoreura). This project proved to not only be a great learning experience for everyone involved, but it also now serves as a beautiful, dynamic focal point for our office to enjoy. previous post: Our NEWEST Addition!